Happy Monday! 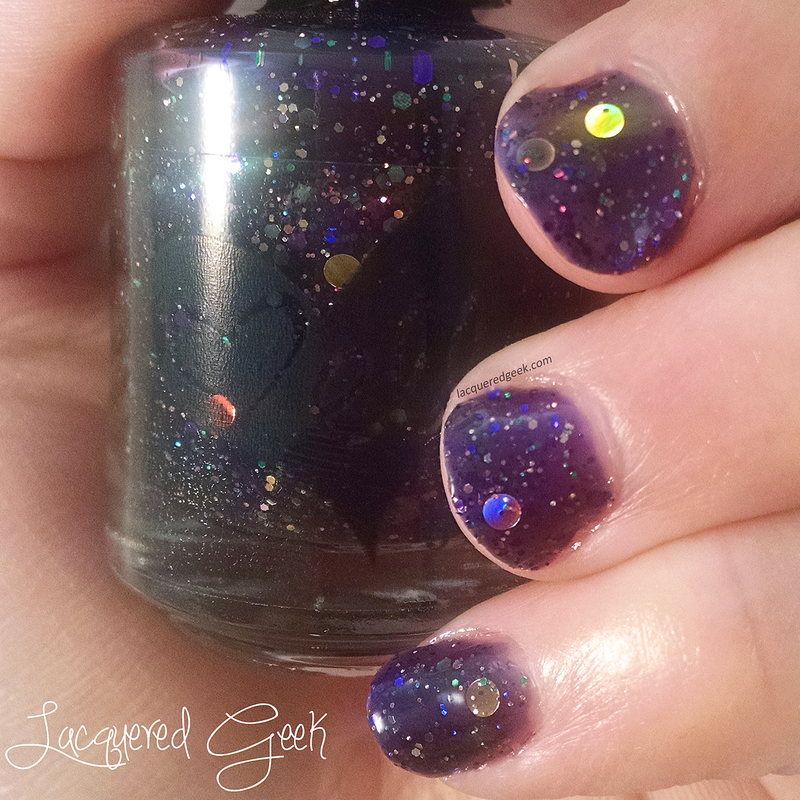 Mardi Gras is just around the corner, and I have a gorgeous new polish from ellagee to get you in the mood! Laissez Les Bons Temps Rouler! 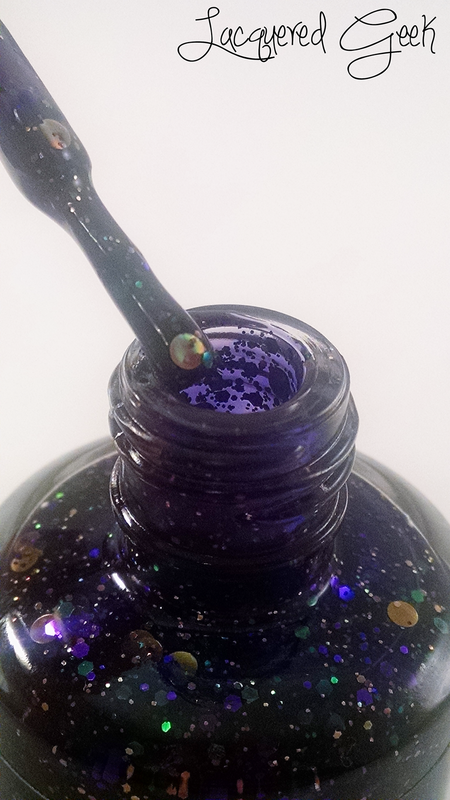 is a deep royal purple jelly base filled with holo and metallic glitters in green,gold, and purple, plus big gold dots! I just LOVE those big gold dots! 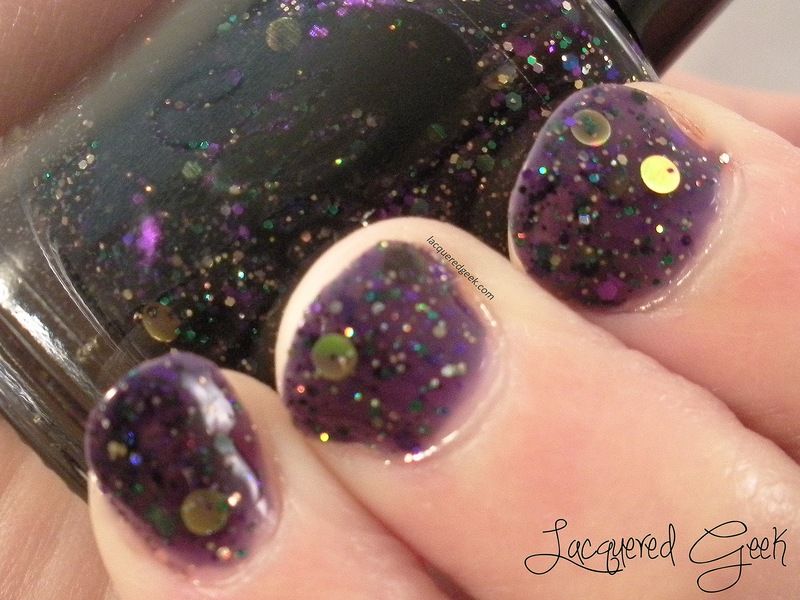 All the glitter, even the dots, applied so well - no fishing required! I wore 3 thin coats for these photos, but if I had used thicker coats, I could have gotten by with just 2 coats. 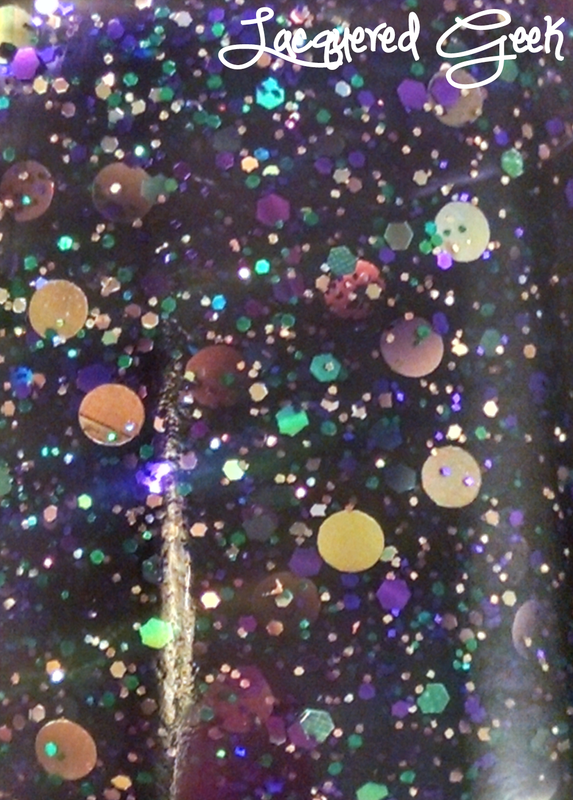 Seriously, look at all that glitter!! It's jam packed! Laissez Les Bons Temps Rouler! is only available from ellagee until February 17th. 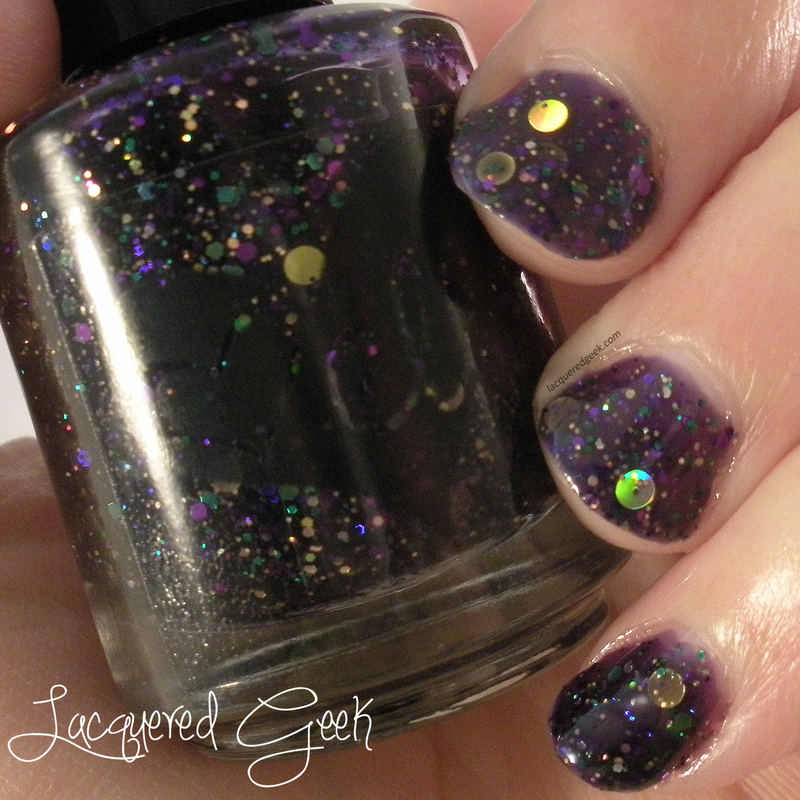 Also, while supplies last, the polish will be package in a gold bag with Mardi Gras doubloons. One of the doubloons in the bag will have a coupon code for your next purchase! 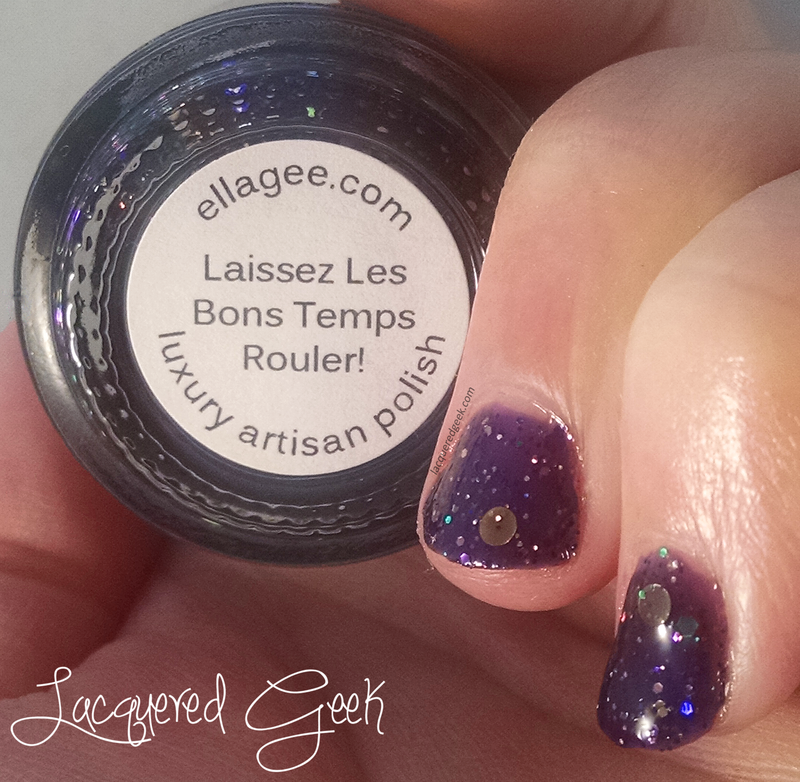 What do you think of Laissez Les Bons Temps Rouler? Are you planning to let the good times roll next week?